The 61st Grammy Awards are tonight. Over the years, many Arkansans and those with Arkansas connections have been Grammy winners and nominees. But the first Arkansan to win a Grammy took place at the second Grammy ceremony on November 29, 1959 – Jimmy Driftwood. Born in Timbo as James Morris in 1907, he later studied what is now John Brown University before graduating with a teaching degree from what is now the University of Central Arkansas. In his 20s, he alternated between teaching school and traveling the country as a drifter. In 1936, he both got married and returned to Arkansas as well as wrote the song “The Battle of New Orleans” to help explain history to a class he was teaching. By 1957, he had changed his name to Jimmy Driftwood, both publicly and legally. That year, a Nashville, TN, song publisher learned of him and offered him his first record deal. That first record did not sell particularly well. But he did start getting notice. 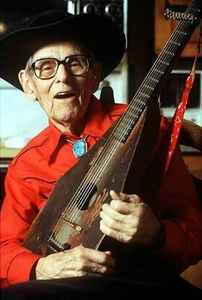 Driftwood left Arkansas for Nashville and became popular by his appearances on programs including the Grand Ole Opry, Ozark Jubilee, and Louisiana Hayride. He was invited to sing for Soviet Premier Nikita Khrushchev as an example of traditional American music during the leader’s 1959 state visit to the United States. He became a member of the Opry in the 1950s. In 1959, he had six songs on the popular and country music charts including Johnny Horton’s recording of “The Battle of New Orleans.” It was that recording that was named “Song of the Year” by the Grammys. That award goes to the songwriter, which meant Driftwood took home the trophy. He later won three other Grammys. By the 1960s, he alternated his time between touring and spending more time in Northwest and North Central Arkansas. In April 1963, he held the first Arkansas Folk Festival in Mountain View. He later helped established the Ozark Folk Center, which is now part of the Arkansas State Park system. He was also active in defeating the plan to dam the Buffalo River and in efforts to establish the Buffalo National River and the preservation of the Blanchard Springs Caverns. Due to his knowledge of folk music, Driftwood served on the Advisory Committee of the Kennedy Center for the Performing Arts and worked with the National Geographic Society. His final years were spent in Fayetteville. He died there of a heart attack in 1998. This entry was posted in History and tagged Blanchard Springs Caverns, Buffalo River, Grammy Awards, Grammys, Jimmy Driftwood, John Brown University, Kennedy Center for the Performing Arts, Ozark Folk Center, UCA, University of Central Arkansas by Scott. Bookmark the permalink.